Such an Age of Mechanical Progress! My first job when I left college was working as an assistant curator at the Smithsonian’s National Museum of American History—“the nation’s attic” where great hoards of objects from our collective past have been (and continue to be) carefully squirreled away for the edification of future generations. A miniscule percentage of the museum’s collection is on display and the rest gathers dust in enormous WWII era aircraft hangers outside Washington DC where all sorts of jackhammers, graphite urns, failed rocket cars, threshing machines, whalebone bustles, (and everything else) are stored. On my first trip to the storage facility in Suitland, I eagerly ran up to the nearest Quonset hut to peek inside. 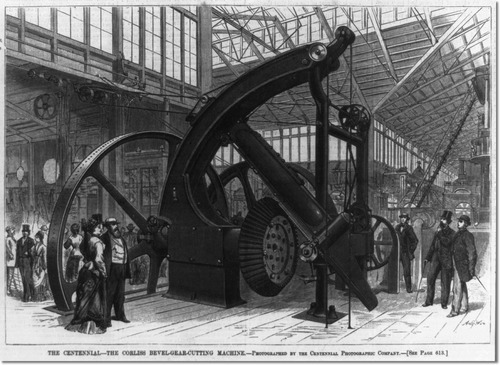 The giant building was filled with pointy overly complicated machines which did not make any sense to the untrained eye. One typical device had been hauled outside to be cleaned. Looming in the sunlight, it looked like an extra from a Steven King movie. It was about 8 feet tall and was made of gray steel with big dangerous foot pedals and alarming fly wheels. A person operating the monstrosity would lean into a whirling maw of metal gouges, hooks, and razor sharp metal spikes. 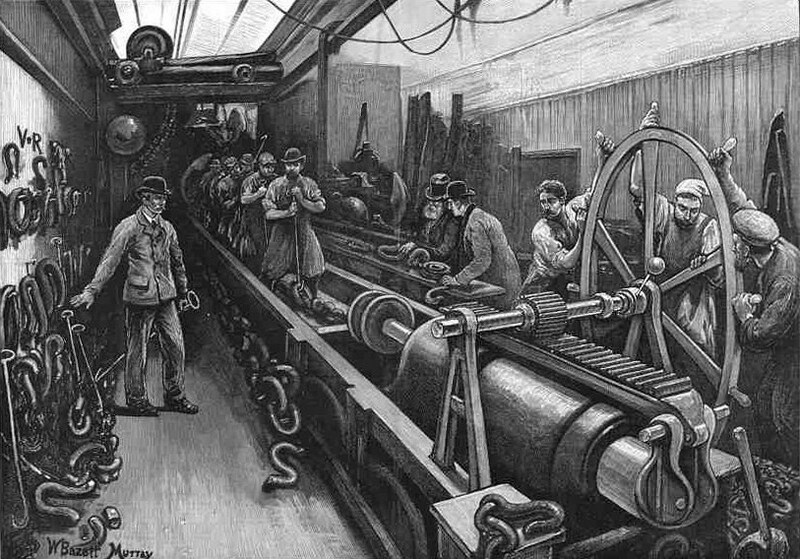 Since it dated back to the end of the nineteenth century, there were no safety features: a moment of inattention would cause the machine’s operator to lose various fingers, hands, or feet. I was transfixed—what amazing purpose did this hellish device serve? The senior curator and I shuffled through the index cards till we found its acquisition/accession code: it was a machine from a long defunct factory in Waterbury which was designed to make tiny metal buckles! Whenever I lament the state of the contemporary world economy, I think back to that hulking buckle-maker and I imagine what it would be like to work on it ten hours a day (pretty much like dancing a complicated quadrille with a demon). Thank goodness that horrible…thing… is in a museum and my livelihood does not involve years spent slaving over it in fear and tedium! Today, automation becomes more and more prevalent and the majority of the world’s goods are being made by fewer and fewer people. Industrial jobs are being outsourced to poor workers in the developing world, but even in China, Bangladesh, and the world’s worst sweatshops, the excesses of the industrial revolution are gradually being tamed. I am bringing this up because I want to look forward into the economic future. Even today, we could work 15 hours a week and have the same standard of living, but we don’t because, well… nobody knows. 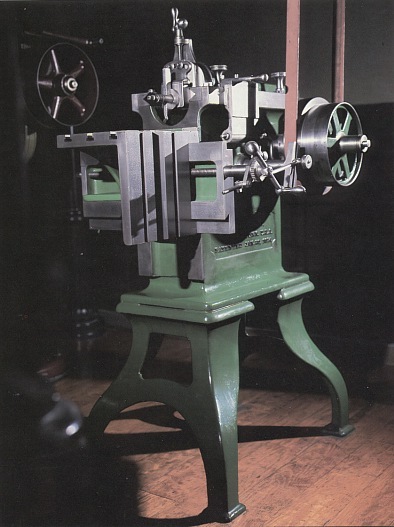 Your pointless job of ordering widgets, looking at meaningless spreadsheets, and pushing awful HR papers around will be gone in 50 years and belong in a museum’s never-looked-at storage room (along with that gougetastic buckle-maker of yesteryear). But what stupid thing will we be doing instead? 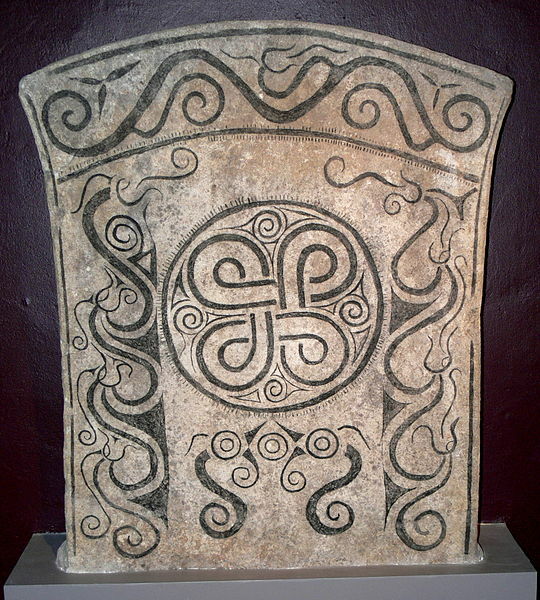 Today we head back to Gotland for another ancient knotlike symbol. The Saint John’s arms is a square with loops at each edge. The shape is actually not a knot but an unknot: if you pulled at it you would discover that it is a torus which has been twisted. The symbol appears carved on a 1500 year old image stone from Hablingbo, on the island of Gotland (a Swedish Island in the Baltic Sea). Ever since then it has appeared throughout the Scandinavian/Baltic world to demark sights of interest. Although it is especially common in Finland (where it gained a reputation for warding off evil), the Saint John’s arms can be found blazoned upon cultural attractions throughout Belarus, Denmark, Estonia, Finland, Iceland, Lithuania, Norway, and Sweden. From its obscure Scandinavian roots, the Saint John’s arms vaulted into international fame during the 80s. 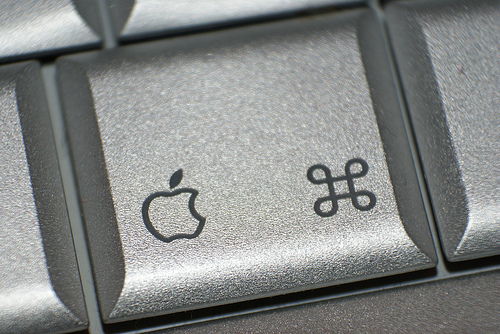 Originally Apple computer utilized the “open apple” and “closed apple” as its command keys (I even remember these from my old Apple IIe and my halcyon days of adventuring in the realms of Ultima). In 1984, when the Macintosh personal computer was introduced, Steve Jobs decided that using the apple for shortcut commands was denigrating the brand. According to Apple insider Andy Hertzfeld, when Jobs saw how many apple commands were in an early version of MacDraw he peremptorily told the design team, “There are too many Apples on the screen! It’s ridiculous! We’re taking the Apple logo in vain! We’ve got to stop doing that!” The bitmap artist, Susan Kare, flipped through her dictionary of international symbols until she found one that easily translated into 16 bit-resolution. It was the Saint John’s arms symbol—which the symbol dictionary said indicated camping grounds in Sweden. 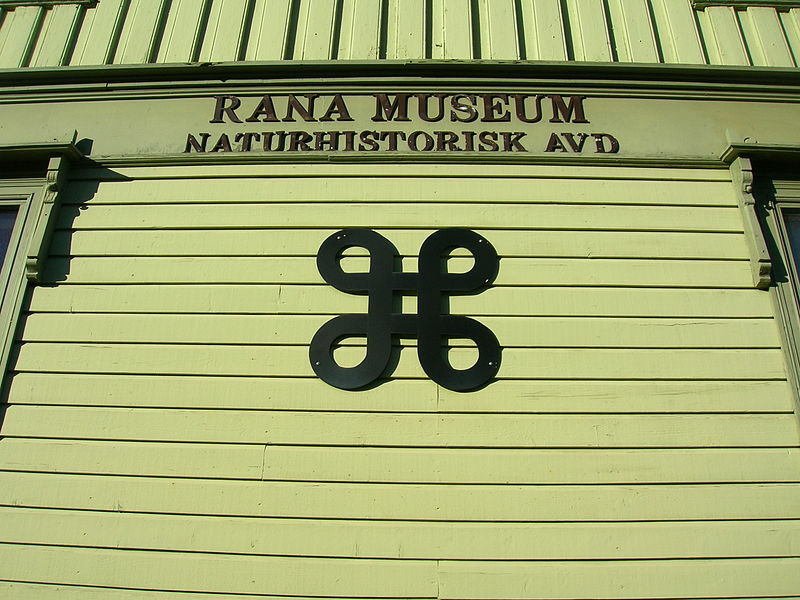 So today the Saint John’s arms, a mysterious Viking symbol carved on a weird rock on a haunted island, is in use everywhere that Apple computers are.